follow my journey as I throw out everything but a backpack and take to the road, sky and rail. 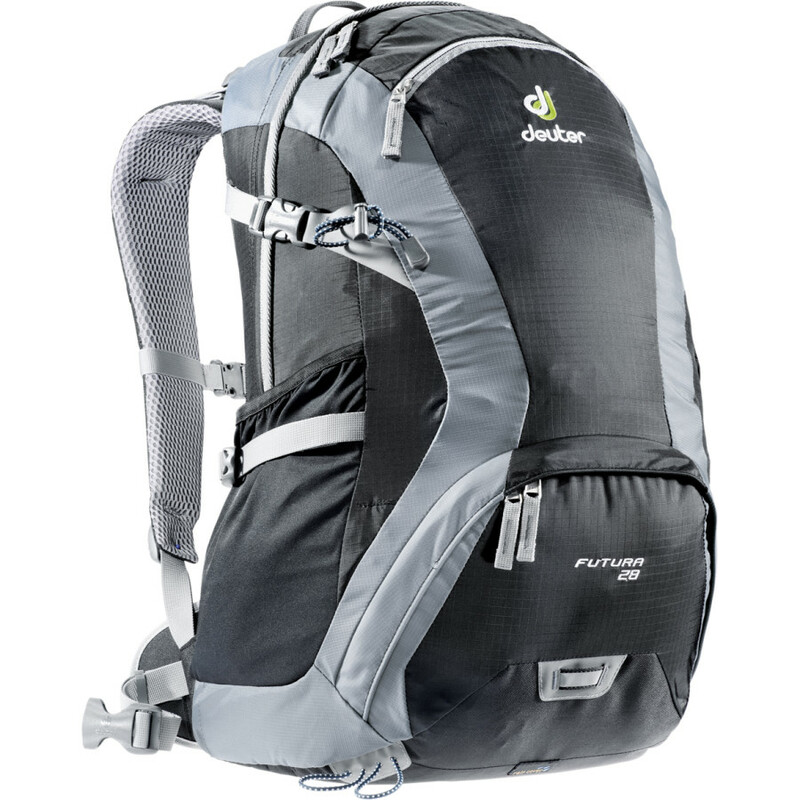 The Deuter Futura 28. The almost perfect lightweight world travel backpack. I originally found the Deuter Futura 28 on a blog I follow being recommended for lightweight world travel. A few other roundtheworlders were using them too. I looked at a few outdoor stores and couldn’t find anything better, so I ordered it online. Deuter is a German company that I soon found out was known for making backpacks for bicyclists. Their quality and ingenuity are top notch and their reputation is well deserved. When it got here, I was surprised at how large it looked. There is a passage between the bag and your back which makes the bag appear much bigger than other bags its size. That passage is one of three reasons that make this bag better than all others I came across. It allows air to flow behind your back and keep the heat out of there, reducing sweat buildup. Another big advantage of this pack is the 2 big pockets that zip into 1 large pocket if desired. This is a great way to split your gear up by weight, need and organization. In the top pocket there is a sleeve designed for a hydration system, I put my laptop way down at the bottom of it. On the front sleeve of the laptop pocket I have sewn in some pockets I cut off an old backpack. It adds a perfect sized area to slip in my Kindle, a pocket for paperwork and maps, 2 pockets for pens and a small pocket for loose small things that need a home. That still leaves most of the space in the top pocket for all my clothes that are organized in color coded stuff sacks. I leave the very top of my pack empty for maneuverability of things inside, food/water and souvenirs. The bottom pocket is quite a bit larger than it looks. Due to the design of the support system, the back of the pocket curves way back on either side giving you a bunch of stash spot room you can cram all kinds of stuff into. And finally the third big advantage of the bag is the pocket at the very base of the bag, it hides a rain cover to fully protect the bag from both rain and sand storms. The other features are pretty normal in a quality bag. Quality zippers, the best fabrics used in different wear areas, cinch straps, side water bottle pockets, and all the basic stuff you will read about in other reviews. The reason I say almost perfect for a lightweight travel bag is there are a couple things I was looking for. First, more pockets. I carry a lot of little things I would like to keep better organized, while still easy to get to. Second, I prefer a bag with better hip support. The waist belt doesn’t wrap around your hips enough to take more load off your back, though the built in support system does a good job of moving the load a little lower. I listen to music and podcasts at least a couple hours a day. I’m no where near being an audiophile, so I was looking for something that was compact/light, good quality, sounded ok and was not too expensive. I think I found the best ipod speaker for my purpose. The Altec Lansing iM-237 is a mono speaker (not stereo with a left and right speaker) that appears to be built with abuse in mind. It has a 2” speaker that is surrounded by hard plastic and a wire metal cage to keep the actual speaker free from punctures, tearing and damage. Stored around the base is a 6 inch headphone jack that I find to be the perfect length. The speaker runs off of 3 AAA batteries that lasted me about a month, so there is no shortage of music with a single set of batteries. It is not as loud as I would have expected for its size, even with its built in amplification. I find that I need to be in the same room as the speaker and I don’t expect to be rocking out too hard when at max volume. Now that I am use to the max volume, it isn’t too much trouble to move it around the house with me when I am doing chores. That will hardly be an issue on the road. The speaker quickly distorts sound when you increase the volume any louder than about 85% on your mp3 player or computer, but I believe the output of the speaker was tuned down to preserve battery life. It’s a fair trade if you ask me. I find the sound to be acceptable and pleasant, but I am not picky about my sound quality. A couple of other good features are a recessed power button with an LED power on light and a thin padded carrying case. Unfortunately the speaker will not turn itself off after some time of no input. This can quickly drain your battery if you are not careful. This was a good buy that I will get a lot of use out of including watching movies, listening to podcasts from back home and torturing roommates with bad 80s metal. I had no idea what I was going to do about my toiletries. Everything I had seen was too bulky or unusable. So I was going to go really simple and light, ziplocks and shopping bags. Bouncing around on the internet I came across the Sea to Summit Hanging Toiletry Bag recommended for travelers. It looked interesting, but I couldn’t find many reviews and all the pictures I could find were just of the much larger size. I went back and forth for a while on buying it. No good pictures, no comments on size or weight. I really don’t like buying what I havent gotten a feel for. But I ordered it because I had a good feeling about it. When I first recieved the box in the mail I opened it up, pulled the packaging out and thought, “Oh No… its way to heavy.” Disappointed, I opened it up, pulled the bag out and was quite surprised to find that the packaging was most of the weight. Cool! I flipped the thing around in my hand quickly a couple times, perfect size, good weight, good material. I opened the zippers, solid zippers. Two big pockets at the bottom with mesh lining, and two much smaller pockets at the top, with zippers and stretchy mesh. The 2 big mesh pockets at the bottom have a small clip that allows the bag to better support heavier weight. There is another pocket out back that is semi-sealed in nylon (no mesh). There is also a HUGE stash spot pocket that is not fully intentional. Its not the greatest pocket at all, it has a small opening and a deep cavity. I see no use for it myself, but someone else might.The bag is also soft sided so any extra space can be crushed down to make the whole thing smaller. And the best part about it, it hangs! You don’t have to lay your toiletries on nasty sinks any longer. Keep them away from the yuck by hanging it from the shower head, towel rack, hook or light fixture. If you do need to put it down somewhere less than clean, the bag is made with an easy to clean nylon shell that will keep the funk off your toothbrush. This is a great product from a good company. Solid construction. Only thing I would change is a larger hook, and make it stronger. The current hook is pretty small and made of plastic, it won’t go around a large towel rack, shower curtain rod or door handle. I might make a larger one before I go. Where to buy: Moosejaw.com Good small company, shipped for free and their website and catalog are funny. Christmas came a little late, but we finally got the opportunity to cash in our generous presents. Thats right, our company gifted the 4 lead guys at work an hour of driving school before being unleashed to run 20 laps of racing in real (retired) race cars at the Toyota Speedway in Irwindale, Ca. We arrived at the speedway at 9am Tuesday morning. We were all offered the $90 insurance, which we thought was too expensive and unnecessary until we saw the cars and a drawing of the track. (turns out the drawing was inaccurate and misleading, intentional?) But 50K was too much to risk, so we all opted to get the coverage. We were then issued fire suits, gloves and brain buckets. After shoehorning us into the tiny cockpit, they quickly strapped us in, checked our radios and completely skipped the step about all the safety equipment the car was equipt with, I mean, how much safety do you really need with a car that has 450 horsepower, weighs as much as a Honda Civic and is controlled by someone without a background check? We all lined up and were lead onto the track. They gave us a lap to warm up our tires and get a little use to the car and then the green flag was dropped and IT WAS ON! It took a few laps to get use to the forces of the corners and the acceleration, but after 3-4 laps I was able to push it enough to start passing other cars. TOPIC CHANGE: I have ordered almost everything I will need to begin my trip. Its all loaded up in my backpack that I carry with me everywhere I go and I try to use most of it as often as I can to really test everything out before I need to rely on it. Amazon.com has really been a great resource for finding what I need, reading reviews and then having it shipped very quickly to my door. Never let yourself get stuck in a rut. Always seek bigger and better. Without turmoil and change, nothing moves and life become stagnant. LTH2011 No content other than excerpts with return links may be reproduced without permission. Watermark theme. Powered by Blogger.